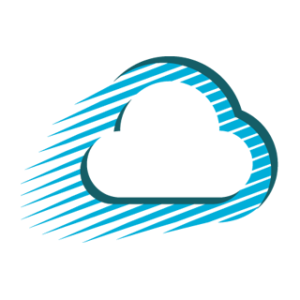 ShuttleCloud is proud to present notable cloud industry news from Jan/Feb 2013. This article touches on a constant point of interest for us at ShuttleCloud — let’s call it “Cloud Resistance,” or the general reluctance by many companies on switching to cloud computing. Think your in-house IT team can manage your data more safely and with a higher margin of up-time? Think again. Dave Girouard, former President of Enterprise at Google, writes 3 main reasons why the cloud is a better bet than even the most sophisticated in-sourced team. After the economic downturn, large enterprises were keeping their cash close. Given the signifcant upward trend in new software and hardware expenditures, however, it seems even Gartner is feeling confident that companies will spend $3.7 trillion in 2013 on IT Spending. On-premise is out, and cloud is in. This article is a great dialoguing of the many faults in Oracle’s forthcoming product roadmap, relative to their “cloud” offerings in 2013 and beyond. “Now we know how Oracle is addressing this shift in the market: by renting its stuff and calling it a cloud,” says David Linthicum, CTO of cloud consultancy Blue Mountain Labs. Box’s VP of Engineering, Sam Schillace, talks about building Google Docs and then ultimately partnering with Box to do something similar for mobile. He also describes how large development teams actually become more of a hindrance to product development, as the proliferation of technology slows based on rigid approval processes.